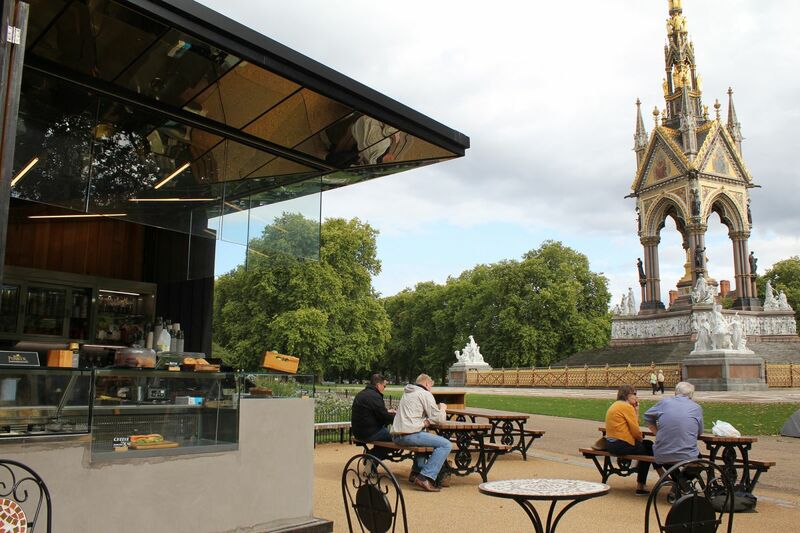 The newly designed seasonal kiosk has taken its inspiration from the adjacent Grade I listed Albert Memorial. The tranquillity of this part of Kensington Gardens is only disturbed by the sound of freshly ground speciality coffee. Our kiosk sells high quality food in the form of handmade cakes, pastries and freshly made sandwiches as well as speciality teas and quintessentially British scoop ice cream. It's a great spot to sit and enjoy a refreshment overlooking the memorial. A seasonal kiosk which generally opens from Easter until the end of September. Opening 10am - 4pm.